Yoshi is WYSIWYG "What you see is what you get"
Top tiers are full of unreasonable, sudden crush properties that suprise during serious battles and easily make them winning hard rounds. Anyways, nowadays I play Yoshi further at the distance. 3~4 is my main tool to make my opponent literally tired. I also have a couple of "range trap tricks" to make somebody whiff and juggle him. Sometimes I go into NSS only for the flash setups: I mean really, it's enough to get really close and flash: and you have a damaging juggle if you do it well (good reflexes is enough). That you're in nose-to-nose doesn't mean you'll get damage more easily. What's the difference between nose-to-nose and jab range? Nothing, except in nose-to-nose you flash better and you make a mess of pixels that makes it hard to see anything. 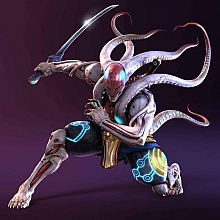 # Tenshimitsu : Yoshi is WYSIWYG "What you see is what you get"
I can see why you would say that, but I don't get much for punishment from 3~4 DGF, except from other Yoshi Players..
# Yoshimattsu : I can see why you would say that, but I don't get much for punishment from 3~4 DGF, except from other Yoshi Players..